Please forward to your Slice the Price Participants! Your fundraiser will run from 1/28/2019 - 2/11/2019. Let's get started! 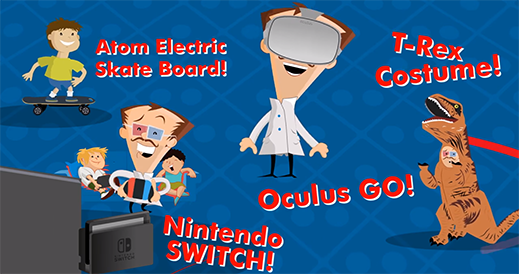 Check out this quick video that explains the fundraiser we just started! You're taking orders for the Slice the Price Card. It is good for buy a large pizza, get a large pizza FREE! The card sells for $10.00. If the card is used just one time, your customers save more than the cost of the card! The card can be used as many times as your customers would like until Tuesday, December 31, 2019. 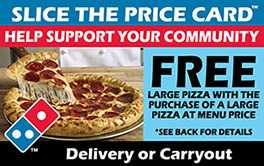 The Slice the Price Card is valid for delivery or carryout! The best part is that it can be used for multiple purchases. Buy 2 large pizzas, get 2 large pizzas for FREE! Buy 11 large pizzas, get 11 large pizzas for FREE! Buy X large pizzas, get X large pizzas for FREE!!!!! 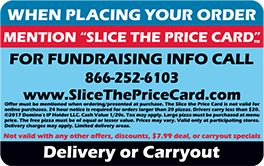 The Slice the Price Card works at participating locations in 13 states. Check out www.SliceThePriceCard.com to see where the card works! 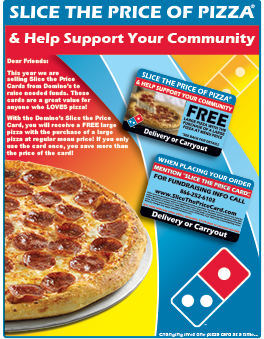 Receive 1 FREE SLICE THE PRICE CARD for every 12 cards you sell! Even if you sell just one card, you'll receive a prize, but you'll want to sell a LOT more than that! 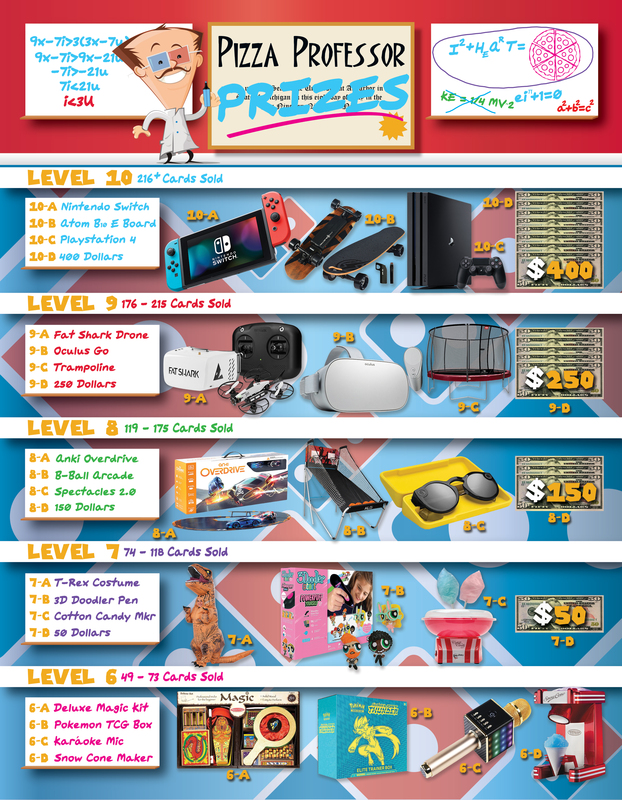 There are some great prizes - like $400 CASH! 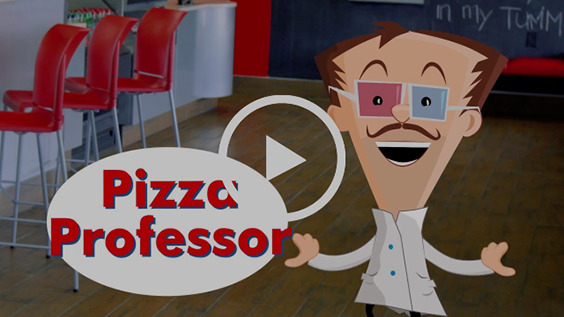 Choose a prize from the Pizza Professor Prizes based on the number of cards you have sold! The fundraiser runs from 1/28/2019 to 2/11/2019. You can sell cards to friends, family, and coworkers - basically anyone who LOVES pizza! Collect their money and write their name on your order form. Turn in order forms and money to Somerset Oaks Academy on 2/11/2019. Cash accepted or make checks/money orders payable to: Somerset Oaks Academy. You will eventually receive your cards back from the school with your original order form and your prize! Once you receive the cards, you will have to deliver them to your customers. Make sure you sell to people you will see again! You should receive a packet with the Pizza Professor Prizes brochure and order form on 1/28/2019. If you want a digital version of the forms, click the button below! Please call us with any questions you may have or visit our FAQ!